Virtual Peer Pressure - Your Teenager's New Symptom! HomeExclusiveMy VoiceVirtual Peer Pressure – Your Teenager’s New Symptom! Virtual Peer Pressure – Your Teenager’s New Symptom! Mrs. Archana Goenka is the Managing Trustee and Academic Director for C. P. Goenka Group of Schools since the year 2000. Post completion of her high school, she did her graduation in Commerce and a Diploma in Fashion Designing simultaneously. Inquisitive psyche and an ardent personality are the two words that best define Mrs. Goenka. With her inclination towards studying Human Behaviour, she has pursued a course in Human Resources and certificate course in Personal Counseling. Being a veteran in the education industry, her understanding, creativity and endeavor to bring in a positive wave of transformation in the education system have been quite fruitful. She believes that schools are not just about textbooks and teachers but a world in itself. Taking that into consideration, she has always come forward to inject dynamism, innovation and recreation to the academic cycle with the aim to defy the cliché that ‘Schools are Dull and Tedious’. The virtual lifestyle has spared none and crippled all! While it has made life simpler for most of us, there is also an increasing rate of side effects that they bring along with them. And one such harsh truth is that of going through virtual peer pressure. While peer pressure among the youth and specifically the teenage children, in the physical surroundings is always a cause of concern, parents have another reason to worry with the virtual peer pressure building around their kids. While wanting to be like your friends is not always bad, what is worse is aping them when you really didn’t believe in that ideology or it’s a misfit in your way of living. When a child’s thoughts are coloured and he/she attempts to bring in an artificial change to their original self, one can surely know that the child is a victim of peer pressure. This act is a result of wanting to be accepted, recognized and valued among their peers. The basic solution for this is to keep a closer eye on the child’s peer group and avoid occurrence of such an issue. Virtual Peer Pressure- What Exactly Is It? Is it a normal sight for you to see your teenaged child’s head buried deep inside his/her smartphone? Well, you may not even know what is keeping them so involved that they aren’t bothered about what is happening around them. Also, it is out of someone’s understanding that what could be the reason behind the child spending hours on scrolling, viewing, liking and commenting on posts and pictures. This is exactly what Virtual Peer Pressure is. Showing their presence actively so that their peers accept them. And social media plays the role of the key villain in this whole plot of influencing a teen’s decision making power. These online activities activates a teen’s thinking and behaviour pattern in a negative manner. They want to ape their peers only to be accepted among them and not necessarily because they believe in that thought process. For instance, studies show that teenagers who viewed and liked photos and snapshots of their peers partying with alcohol were more probable to mimicking the behaviour by indulging in alcohol and smoking themselves. So, it can be rightly said that virtual peers are far more powerful and influential than a teen’s real-life friends. What can you do to protect your child from Virtual Peer Pressure? The first step on working towards this – be your child’s best friend and first friend. Build so much confidence in the child that they would share all their secrets and keep their parents in the loop. A parent might not know all the friends that your child is connected with online and hence unable to act on the problem effectively. It’s very imperative for parents to get acquainted with social media in order to help them keep the lines of communication open. It’s very critical than ever that parents must know who their kids are spending their time with— be it either online or offline. Keep a tab on your child’s social media presence by following them on the various sites and openly talking about any person’s social media profile that may not be accurate as they pose to be. 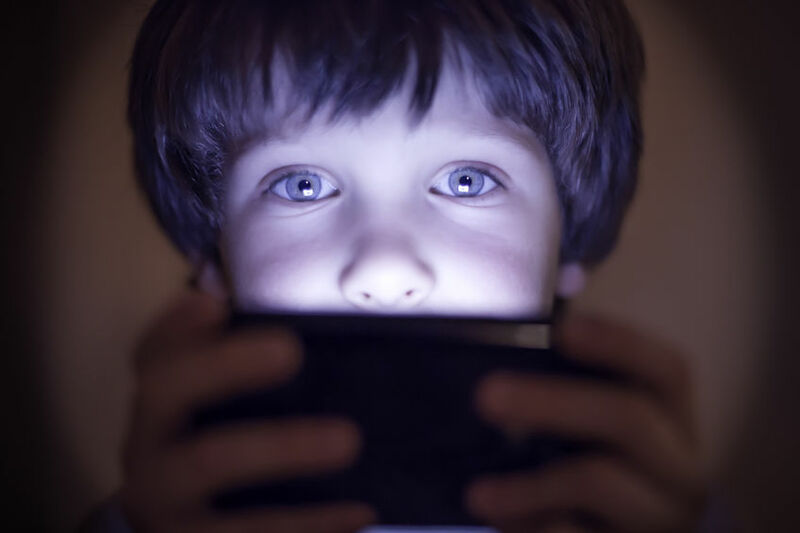 Set a screen limit time so that your child isn’t addicted to the online world. Apart from Virtual Peer Pressure, it can also lead to other health problems. Encourage your child to participate actively in the real-world and be socially active in the real world than the virtual one. Finally, one should understand that teenage years are precarious times, when there are a lot of hormonal changes taking place in a child. They are constantly shaping their identity and figuring out new things. At this vulnerable point of life, if they are not given adequate attention, they opt for shelter in the virtual world, making things worse for all. A little love and understanding by parents, can avoid children falling prey to any such misconducts and wrongdoings online. On their own, your teen may not realize the perils of the virtual media or may not know how to set judicious limits for themselves. But together, you can positively navigate the difficulties of life both online and off-line.